Women’s History Month may have just ended, but Queens of the New Age prepares to keep the celebration going with a Music festival for the people. 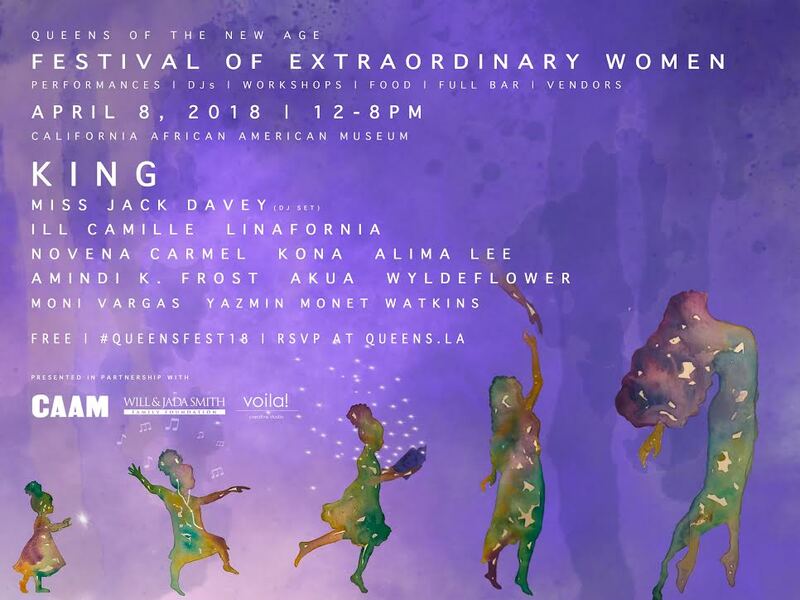 Join them at their Festival of Extraordinary Women this Sunday, April 8, 2018 at the California African American Museum in LA! In partnership with the Will & Jada Family Foundation, the event will feature headliner KING, performances by LINAFORNIA, Ill Camille, Kona and more, DJs, workshops, food trucks, beer garden, local vendors and completely FREE ENTRY.